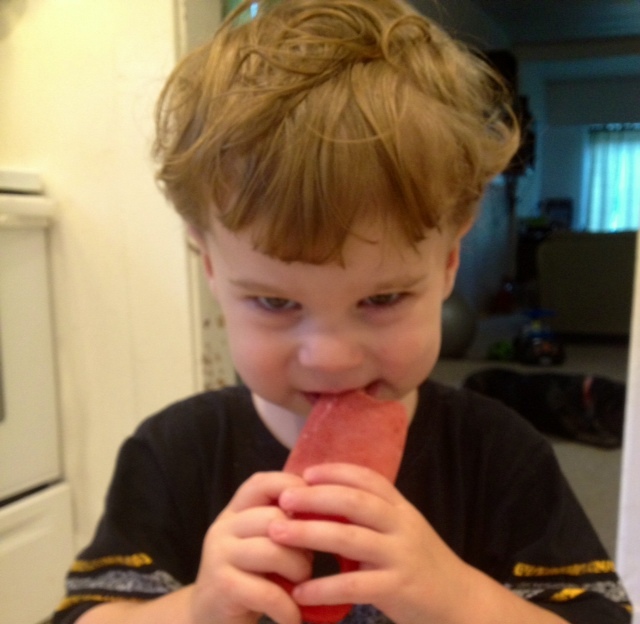 Who doesn’t love popsicles during summer time? In my quest for healthier eating habits I decided for the summer (along with my salads) I am going to make sure we have access to healthy, yummy popsicles. After perusing pinterest and googling a half dozen recipes on how to make strawberry popsicles I flew by the seat of my pants and made my own using what I had on hand. Tips: Sometimes the popsicles don’t want to come out of the molds, just run them under warm water for 15-30 seconds and they easily free out of the molds.